On Wednesday the 26th of Oct all Year 10 students were treated to guest speakers from various local health and safety agencies to promote the message of safe partying, being sexually healthy and looking after your mates. Deanne Hourigan from the Ovens and King Community Health Centre spoke to students about their sexual health. Robert Wright from NESAY reminded students about the risks involved in sending inappropriate text messages and safe social media use. 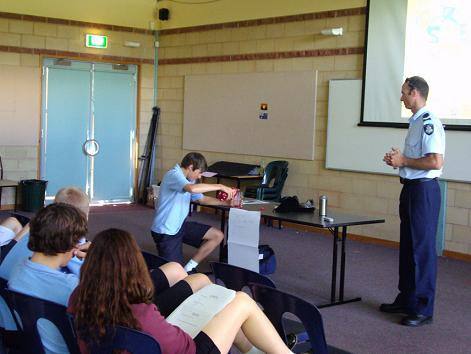 Doctor Matt Byrne conducted an open forum where students could discuss health issues that related to them and Mark Staley from the Wangaratta Police chatted about standard drinks, safe partying and legal consequences related to underage drinking. We would like to thank these experts for sharing their precious time and knowledge with us and hope that this experience has helped our Year 10 students to use this information to make informed decisions about their health in the future.